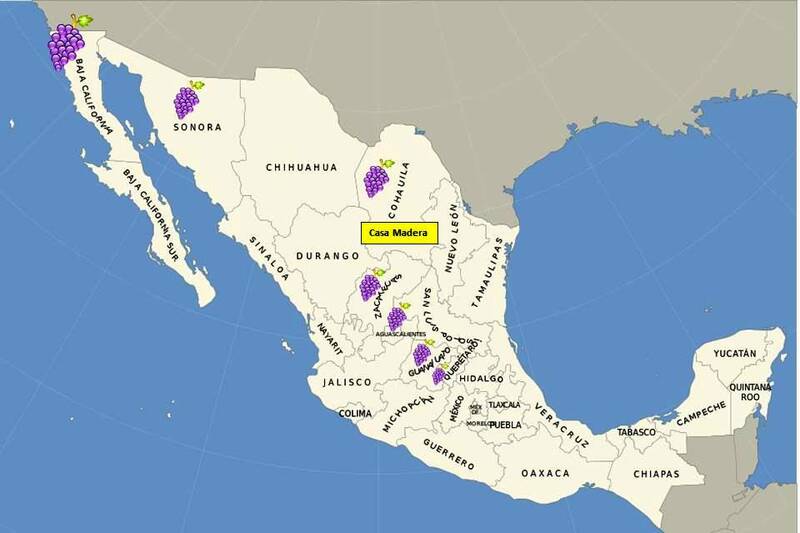 (Dec. 2016) One of the distinguishing features of wine from Mexico is that the country is reputed to be the home of the oldest winery in all of the Americas. This winery is Casa Madero and is located in the Sierra Madre Oriental mountains in the state of Coahuila, about one hour’s drive east of the city of Monterrey. Records show that in the 1520’s after conquering the Aztecs, Cortes had Spanish grapevines sent to Mexico in order to plant vineyards and make wine in this region. The date is several decades earlier than vineyards were first planted in Chile (1548) and Argentina (1551). Finding up to date statistics on the Mexican wine industry can often be challenging, but there are several reputable sources. These numbers are primarily from the Euromonitor June 2016 report on the Mexican wine industry, the Consejo Mexicano VitiVinicola December 2015 website report; and La Ruta del Vina website for the Valle de Guadalupe. Though beer and tequila are currently more popular drinks in Mexico, wine has been gaining traction over the past few years. Euromonitor forecasts that the growth trend in positive, especially since Mexico has a large population of 130 million people, with a median age of 27, and is ranked 10th largest country in the world. The Millennial generation in Mexico is beginning to adopt wine as a new beverage, as well as many of the urban professionals. In addition, the trend to consume local products is also positive for Mexican wine, as people begin to seek out more of their home-grown products. Delsol, C. (2009). "A toast to Mexico's undiscovered wine country". San Francisco Chronicle (San Francisco, CA). Euromonitor (June 2016). Wine in Mexico Report. (Dec. 2016) The last time I visited Mexico was in Cabo San Lucas where you can buy a glass of Mexican wine in almost every restaurant. This is because more than 80% of Mexican wine is produced there in the Baja Peninsula, south of California. The climate is Mediterranean, with hot dry summers and cool wet winters, and is ideal for wine grape growing. However, this time I traveled to the opposite side of the country to the Mayan Riviera located on the Yucatan Peninsula and bordered by the Caribbean Ocean. Here the climate is much more humid, with an average temperature of 80 F degrees year-round. Lush jungles embrace miles of white sandy beaches, and the exquisitely colored turquoise water is warm and balmy. Due to the climate, most visitors drink margaritas or beer (cerveza). And though I found bottles of Mexican wine for sale in restaurants, I struggled to find any wine by the glass. The Mayan Riviera of Mexico stretches from Cancun in the north to the temples of Tulum in the south, with the town of Playa del Carmen in the middle, and the island of Cozumel just a short ferry ride away. Huge resorts line the fluffy white sand beaches, and the area is filled with many delicious restaurants and fun shops. Scuba-diving, snorkeling and deep sea fishing are amongst the most popular tourist activities, as well as visiting the ancient Mayan cities and the unique “cenotes” – sink holes with fresh water that often form underground caves. It is hard to believe that a mere fifty years ago there were only sleeping fishing villages along the coast. Today it is a booming international tourist destination, identified by the Mexican government in the 1960’s as part of the country’s mega-development projects, which also included Los Cabos in the Baja Peninsula. I was fascinated to learn more about the Mayan culture, which is considered to be one of the great civilizations of the world, with amazing knowledge of science and architecture – similar to the ancient Egyptians. The Mayans actually lived not only in this part of Mexico, but further south and into Belize, Guatemala, El Salvador and Honduras. However their capital, Mayapan (for which they are named), was located in the Yucatan Peninsula. The original people were called Olmecs (1500-200 BCE), and they carved huge heads out of stones – many of which are still around to be viewed – but most of the famous stone cities and pyramids of the region, such as Chichen Itza and Coba, were built in the Classic Period from 250 – 950 CE. Tulum, the famous Mayan walled city near the ocean, was built during the Post Classic period, around 1200 CE. In addition to their great architecture skills, the Mayans were also well-known for their skills in astrology and mathematics, and the creation of the Mayan calendar. We visited Tulum and found the site to be fascinating, as well as the lovely white sandy beach below. After talking with many people who had visited the area previously, I decided to stay in Playa del Carmen, because it is supposedly a little less touristy and crowded than Cancun and Cozumel. My hotel was the all-inclusive, ROYAL, located on a huge white sandy beach and only one block from the famous Quinta (5th) Avenue – a pedestrian only street with many restaurants and colorful street artists. The resort has eight restaurants, and they featured a total of 27 different bottles of Mexican wine, which is impressive. Prices ranged from $44 for a Monte Xanic Chenin Blanc/Colombard blend to $113 for Icaro Nebbiolo and Bordeaux Blend. These wines illustrate the penchant of Mexican wineries to focus on innovative blends. However, since I was traveling with my daughter, and she doesn’t drink wine, I didn’t want to purchase a whole bottle for myself. Thus I was forced to sample the six wines by the glass that they did offer – all from Spain and Chile. The food in and outside of the resort was all fresh and tasty. We focused on the local fish, most of which had been caught that day, as well as fresh fruit and vegetables. We gorged ourselves on guacamole and other Mexican food favorites, such as cheese quesadillas, enchiladas, and fajitas. On our last evening we ventured out to a Mexican restaurant called Maria’s at the Gran Porto, and I finally found a half bottle of Mexican wine to order. It was recommended by the server with great pride in his voice, and when I saw the bottle, I knew why. It was a 2014 Casa Madera Cabernet Sauvignon. I was very excited when I saw this wine because I’ve always wanted to taste it, and the price was reasonable at 375 pesos (around $18). Regular price in a store is around $9, so this was a 100% mark-up, which is normal in restaurants. Established in 1597, Casa Madera is reputed to be the oldest winery in all of the Americas. Located 70 miles west of Monterrey, Mexico, it is nestled in the Valley de Parras, a mountainous region with an elevation of around 4900 feet, which provides the cooler more temperate climate that winegrapes love. As the server deftly uncorked the wine, then poured a small amount for me to taste, I noticed that it was lighter in color than I expected – a medium-dark ruby red. The nose was enticing with ripe berries and plum. This carried through on the palate with subtle oak notes and spice. It had smooth silky tannins, good balance, and showed its New World pedigree in the ripe and approachable style. The cab paired very well with the rib-eye and shrimp combo I was having, along with a red spicy mole and rice. The experience was very positive, and made me want to sample more wines from Casa Madera. Someday it would be nice to visit such a famous historical winery. A short video highlighting our time on the Mayan Riviera can be found HERE. As I finish this post, I can’t help but reiterate my wish for all global wine regions to feature their local wines in restaurants and bars in a “by-the-glass format” so that tourists can taste them. Only offering local wines by the bottle is a deterrent for many visitors, because they don’t know how the wines will taste. A by-the-glass offering is much less risky, and encourages exploration. Restaurants are already featuring local cuisine – why not show-off local wines as well? A simple investment in a Coravin makes this option much more feasible, because the restaurant doesn’t have to worry about the wine spoiling. My hope is that more places along the Mayan Riviera will begin to showcase wines from Mexico by the glass. Berger, D. (2006). The Development of Mexico's Tourism Industry: Pyramids by Day, Martinis by Night. New York: Palgrave Macmillan. Hinsdale, J.E. (2015). Explorer’s Guide to Playa del Carmen, Tulum & the Riviera Maya. Vermont: Countryman Press. (November 2016) On our last evening in Trentodoc we were truly spoiled with a tour and seated tasting at Ferrari Winery, followed by a visit to their historic Villa Margon and dinner at their Michelin star restaurant called Locanda Margon. When we asked if they were related to the Ferrari car company, we were told that the name “Ferrari” in Italy is very common – like Smith in the US. So no relationship, but the two firms have agreed to support one another and not infringe on copyright issues. Ferrari owns 85 hectares and also purchases grapes from 600 families in order to produce around 4.5 million bottles of sparkling wine per year. They export around 20%, but want to increase this. Today it is owned and operated by the Lunelli family. We met with Matteo, Camilla and Marcello during our visit and dinner. We tasted five wines (see photo), and all were excellent. Even the basic NV Brut Ferrari which sells for only 13 euros was extremely well made. A blanc de blanc, it is filled with pear, apple, lemon and has a big creamy texture. I found all of the Ferrari wines to have a fuller-body than the majority of the leaner more focused wines we found in much of Trentodoc. The grand cuvee is the Giulio Ferrari, which is always aged 8 year on lees and is fermented in 10 to 20% oak. We tried the Giulio Ferrari 2005, which actually tasted a little young, but had a pure, streamlined nose of nuts and lemon carrying through on the palate with spice and apple. Big, complex but with a creamy mouthfeel and an elegant finish. Very satisfying. Average price of $66 per bottle. Built in the 16th century, Villa Margon is perched on a hill above the winery with a sweeping view of the city and hills of Trento. With its beautiful Venetian architecture of rounded arches, tiled floors, and very famous frescos, which cover almost every wall, the villa is truly one of the most aristocratic houses in the Dolomites. Many famous people have stayed in the villa over the years, including Emperor Charles V. It was also owned by a baron and became a hunting preserve for a while. It was donated to the Lunelli Family, because they had the money to maintain it, and continue to do so today – keeping it open for visitors. The frescos that cover the wall are amazingly bright and vivid in color, even though they date from the 16th century! The scenes range from biblical to romantic to war, and would take months to study them all in-depth. One of my favorites was a mural of the different seasons of the vine. The rooms of the mansion are also beautifully decorated with antique furniture and unique chandeliers. As if they didn’t have enough on their plates, the Lunelli Family decided to open a restaurant on the hill above Ferrari Winery, which they call Locanda Margon. They hired chef Alfio Ghezzi, who within a short time turned it into a 1-star Michelin restaurant, only to be award 2-stars the week after we left! Certainly the Michelin inspectors had been there before us, and it was truly a two-star experience. Arriving at the restaurant we were ushered into a private dining room and enjoyed the special menu and wines listed below. Each dish was a work of art, and the different tastes were dazzling – especially offset by the sparkling wines that helped set them afire on our taste buds. To add to the experience, we were honored to have Camilla Lunelli join us during the dinner and offer eloquent toasts to make the evening even more memorable. Thank you to Ferrari and the Trentadoc Wine Association for a once in a lifetime visit to the exquisite Italian Alps and the sparkling wine made by the mountains. We met with the owner and winemaker of Cesarini SforzaWinery while having dinner at Maso Franch Restaurant in Giovo in the hills outside of Trento. They treated us to a vintage tasting of six of their wines, including some single vineyard riservas from Aquila Reale, which means “land of the eagle.” The 2009 and 2001 were real standouts. 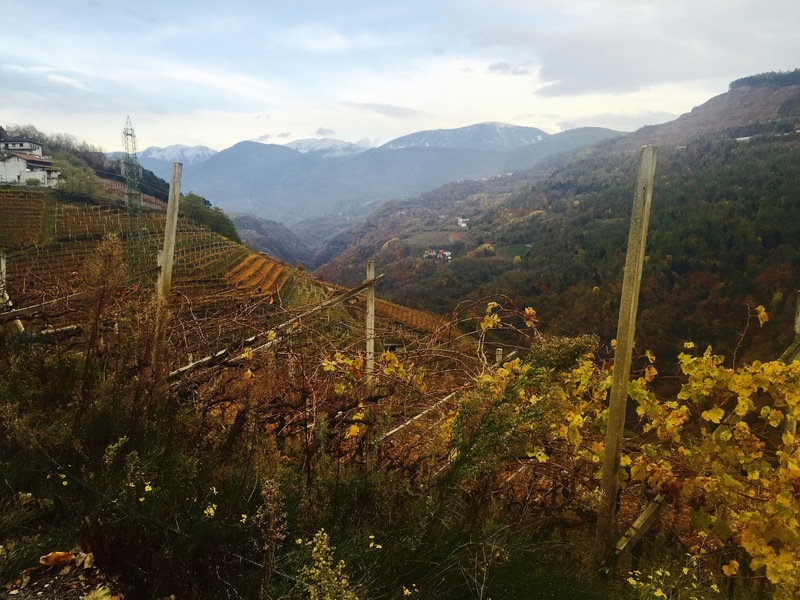 After a delicious lunch at Le Due Spade Restaurant in Trento, we drove into the mountains and through the steep vineyards of the CembraValley, home to the highest altitude winery in Italy. It reminded me of the steep slopes of the Mosel in Germany, but the vines here were on the high pergola trellis systems. With the rugged snow-capped Dolomites in the distance, this truly is one of the most beautiful and unique to wine growing regions in the world. We were honored to have a lecture on the viticulture practices and climate from Professor Tomas Roman, which was fascinating, until the howling winds brought snow down from the mountains to swirl around us – chasing many of us (including me) back into the warm van. The next winery we visited was called Opera, which means “work passion” and doesn’t have anything to do with “musical opera,” but should, because the wines are very harmonious and unique. Founded in 1885 and re-established in 2005, owner Alfio Garzetti and winemakers Paul Tiefenthaler and Mattia Clementi, are passionate about making linear high-acid sparkling wines. Alfio told us that in order to farm on the steep hillsides it takes 700 hours of work per year per hectare. Many of their wines are aged 60 to 75 months on the lees, with very low or zero dosage. The razor sharpness of these wines reminded me a bit of “Salon” in a cold year. They only produce 80,000 bottles from 10 hectares of vineyards, and do not export any wine yet. With such a marketable and memorable name and a unique wine style, they should be quite successful once they start. I had many favorites, but one that really lingered with me was the Opera Nature. It was 100% chardonnay, 40 months on the lees, no dosage, fresh, chalky, mineral, hazelnut, and mouthwatering. Still dreaming of the private dinner in the MUSE Museum that we had enjoyed the evening before, we woke up to a bright and sunny day. The snowflakes from the day before had disappeared, and it was calm and almost warm when we had a chance to walk in the vineyards of Maso Martis Winery. Here the whole family came out to greet us, as well as the winery dog. We were very impressed with the passion and dedication to the land and fine winemaking expressed by Antonio, the father, Roberta, the mother, Alessandra, the daughter, and Mateo, the winemaker. They believe in organic viticulture as a philosophy of life for the 12 hectares they own, planted on gently rolling hillsides composed of red dolomite soil. They only produce 60,000 bottles of wine and export a small amount. Their most famous sparkling wine is Madame Martis, which is 70% pinot noir, full-bodied with power and structure. It is also aged 8 to 9 years on the lees! 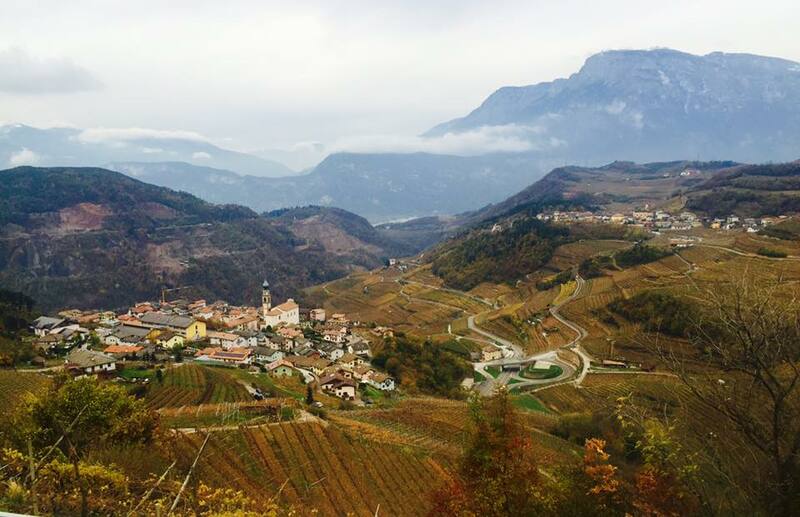 Winemaker Paolo Dorigati welcomed us to his home and small winery located next to a sheer rock cliff of the Dolomites. Started in 1894, Dorigati Winery is not only known for sparkling, but it also famous for its red wines made from the Teroldego grape. We enjoyed a visit to the cellars, and then were fascinated with an experimental tasting of the famous Methius 2002 Riserva - one which had been disgorged in 2016 and one that had been disgorged in 2007. Though both were the exact same wine, the late disgorged one showed more ripeness and was fuller-bodied, whereas the older disgorged wine showed more complexity and elegance. Both were extremely well-balanced with a very long finish. For lunch we were welcomed to Mezzacorona, one of the largest winery cooperatives in Italy with over 1600 farmers. Started in 1904, they farm 2500 hectares, and make a variety of wines. Their sparkling wine brand is Rotari, which is sold in the US as well as other countries. We met with the winemaker who immediately gave us a glass of sparkling wine and invited us to sample some appetizers while he described how the wines were produced. “This is the only place in the world where you can see people skiing while pruning the vineyard,” he said, as he described their vineyards in the Italian Alps. Over lunch, we tasted six sparkling wines, with one of the best risottos I’ve ever had in Italy and a delicious branzino fish. Some of my favorite bubblies included the Rotari Extra Brut 2010, Rotari Alperegis Pas Dose 2009, and Rotari Alperegis Rose Brut 2011. (November 2016) Did you know that high in the Dolomites Mountains there are vineyards that produce the first sparkling wines in Italy using the “metodo classic” with second fermentation in bottle? Even more amazing is the fact that the Trentodoc region became the first DOC classic sparkling wine region in Italy in 1993, second in the world to Champagne. Known as “Sparkling Wine from the Mountains,” the taste of the delicious bubbly from this northern part of Italy is fresh and exciting with zesty citrus and mineral notes. With only 45 wineries producing wines from vineyards that are located between 200 and 800 meters (600 to 2600 feet) high, these are special wines with a distinctive taste. I was lucky enough to be invited to spend three days in the Trentodoc wine region this November with eleven fellow MWs, and we were honored to have the opportunity to taste more than 200 of these amazing wines. 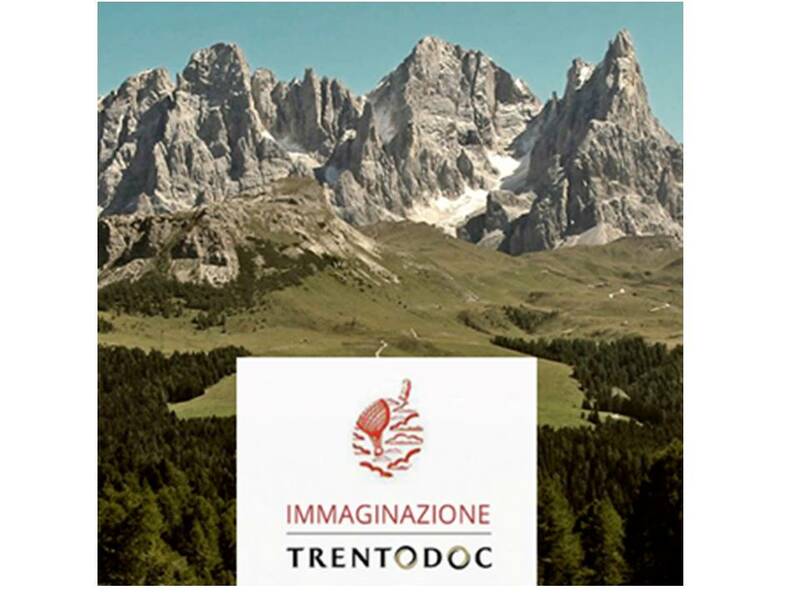 The 800 hectares that make up the Trentodoc wine region are located along the mountain slopes of the town of Trento in northern Italy, just a one hour drive from Verona. Historical records suggest that city was found in the 4th century BC by the Gauls, but the Etruscans and Veneti were also in the region. In the late 1st century BC the Romans arrived, and more vineyards were planted in the steep valleys with the snow-capped Dolomites towering above. The sparkling industry took off when Giulio Ferrari, born in 1879, saw an opportunity to produce such wines after training in Epernay France. He started the Ferrari Winery and encouraged others to produce sparkling wine as well. Today Ferrari is one of the largest and most famous sparkling wine producers from Trentodoc. The soil in the region is a combination of limestone, silica and volcanic rock, with some river gravel. Trellis systems on the steep hillsides are primarily the traditional high pergola, though some of the newer plantings are using VSP (Vertical shoot position). Most harvesting is done by hand. By law the only grapes that can be used to produce Trentodoc sparkling wine are Chardonnay, Pinot Noir (called “Pinot Nero” in Italy), Pinot Meunier and Pinot Bianco (though very few wineries use this latter grape.). Winemaking is similar to the Champagne region in that grapes are picked by hand, gently pressed, and the base wine is fermented in stainless steel tanks and may or may not undergo malolactic fermentation (ML). The base wines are then blended and transferred to bottle for second fermentation. By law the wine must stay on lees in bottle for 15 months for Brut, up to 24 months for a vintage wine (called Millesimato), 36 months for a Riserva, and up to 10 years for special vintages. In general, most producers keep the wine on lees for much longer than the law requires. Current annual production of sparkling wine in Trentodoc is around 8.5 million bottles, with exports of around 20%. The value of the 2015 production was listed as 78 million euros by the Trentodoc Wine Association. 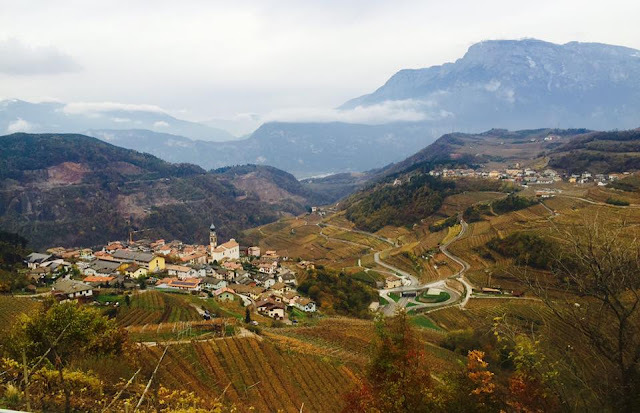 On our first day, we were greeted at the Verona Airport by the Trentodoc Winery Association representatives, and whisked to Trento along a beautiful paved road that wound through mountains that became taller and steeper as we approached the town. Our first stop was Cavit Winery where we were treated to a buffet lunch of tasty Italian cheeses, meats, salad, and fresh home-made pasta, before attending a presentation and tasting on their wines. Cavit is one of the largest wine producers in the Trentodoc with 5400 vineyard acres and 10 different wineries producing around 400,000 – 500,000 bottles of still and sparkling wine annually. The majority of their production (70%) is white wine, and they have some very old vineyards ranging from 40 to 100 years old. They export 80% of their production, with the US being the main export market where they are known for their value priced pinot grigios and red blends. Altemasi Brut Millesimato 2010 - 100% chardonnay, golden yellow color. Fuller-bodied with toasty oak, yellow apple and brioche. This was a big, satisfying bubbly with 36 months aging on the lees. From a glacier terrace made of limestone and volcanic soil. Altemasi Riserva Graal 2009 – 70 months on the lees, this wine was filled with complex notes of caramel, citrus, mineral, apple, and toasty notes. 70% chardonnay, 30% pinot noir. A crowd pleaser! Altemasi Riserva Graal 1993 – though probably very hard to find, this sparkling wine was beautifully unique with hints of floral on the nose followed by a salty minerality mixed with citrus notes on the palate. Linear body with very high acid, this wine had an extremely long refreshing finish.